In July last year, I again visited Madagascar to teach a short graduate course at the University of Antananarivo. 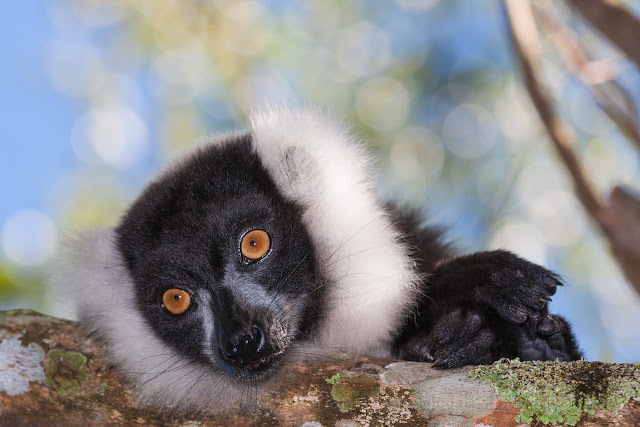 The following week I headed East into the rain forests, and spent several days photographing lemurs and chameleons. Lemurs are an interesting branch of primates and are only found in Madagascar. They're also very cute, and thus endangered by ruthless collectors for the exotic pet trade, and of course also by Madagascar's catastrophic habitat destruction. In this post I'll show you a few of them, with the chameleons having to wait for a future blog post.